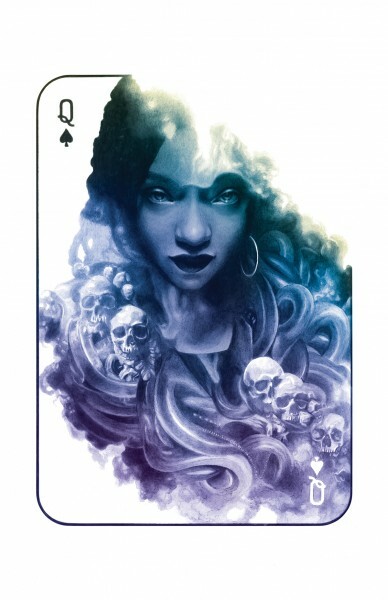 The Wild Cards series has been blessed with some really amazing artwork since we've been published by Tor. Let me introduce you to some of our artists. MICHAEL KOMARCK Has been our main cover artist since INSIDE STRAIGHT, and he's still hitting it out of the ballpark. Here's his cover for LOW CHICAGO, due out in hardcover in June. 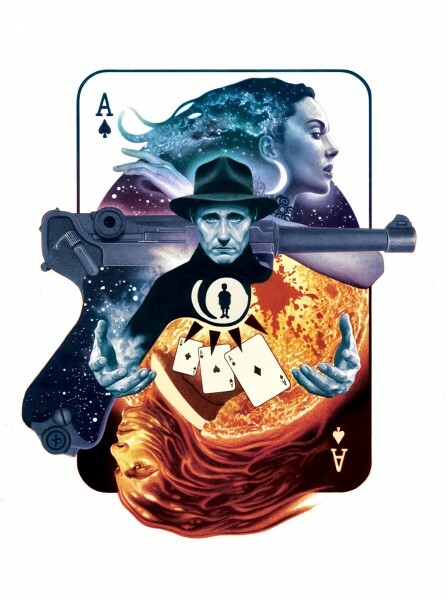 The amazing JOHN PICACIO has been doing all the "cover" art for the Wild Cards stories on Tor.com. Here's his two latest, for Vic Milan's "EverNight" and Melinda Snodgrass's "When the Devil Drives." 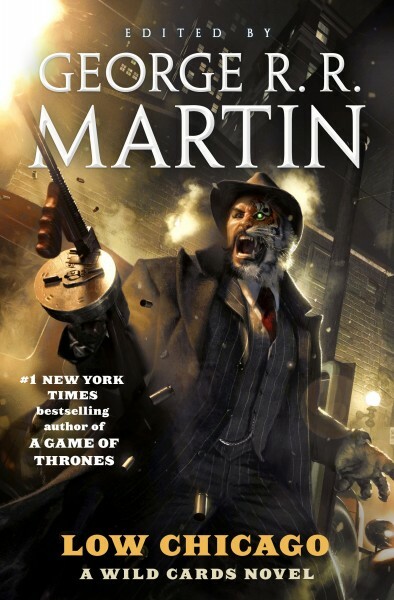 David Palumbo has been building quite a buzz for his recent cover work. If you haven't seen his cover art for Nnedi Okorafor's BINTI, look it up, it's stunning. We're thrilled to have snagged him for Wild Cards. 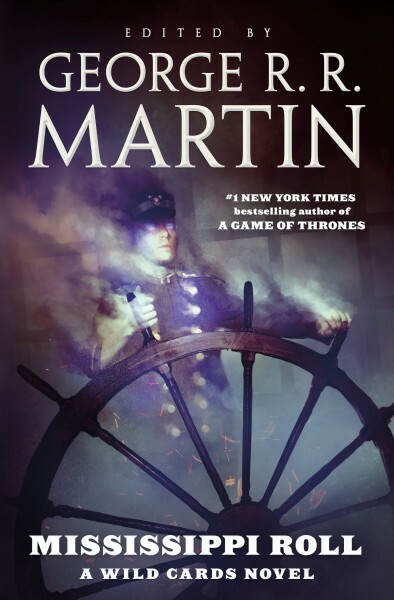 Here's his cover for the forthcoming reissue of ONE-EYED JACKS. Bastien Lecouffe Deharme is another artist new to Wild Cards, but he did a knockout cover for our most recent mosaic, MISSISSIPPI ROLL. See below. We want to get him back for more covers! Remember those four names when you are making out your Hugo nominations for Best Professional Artist: Michael Komarck, John Picacio, David Palumbo, Bastien Lecouffe Deharme. You can find lots more examples of their art on their respective websites. 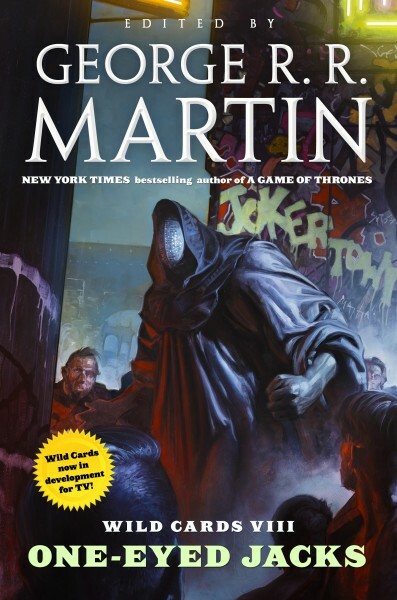 All the Wild Cards books under Tor have had absolutely stellar covers. I'd frame them and hang them on my wall if I could.